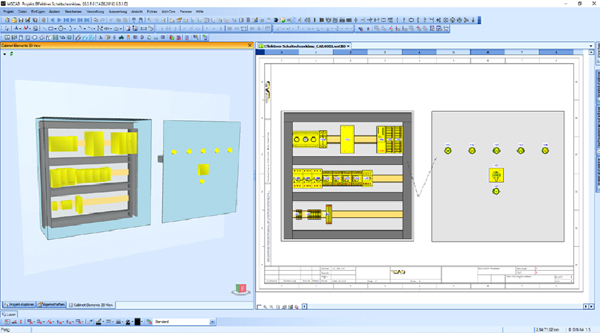 Electrical Engineering with the WSCAD SUITE means planning, developing and constructing with the first integrated and comprehensive CAD/CAE solution for electrical engineering, cabinet engineering, process and fluid technology, building automation and electrical installation. 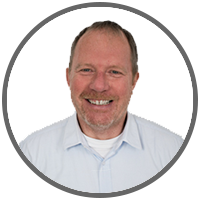 The modular and scalable software is based on a core with a central database. 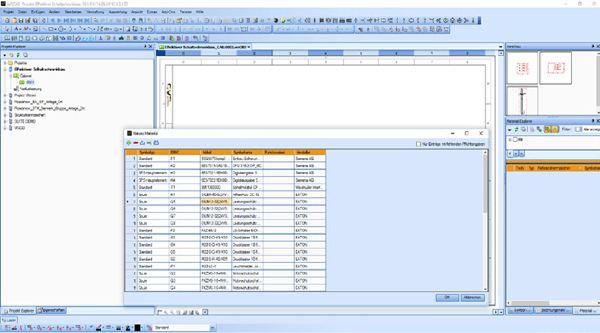 Plus access to wscaduniverse.com, the world’s largest electrical CAD data portal on the market with more than 1.2 million symbols and part data from 140 manufacturers in WSCAD and EPLAN* format. 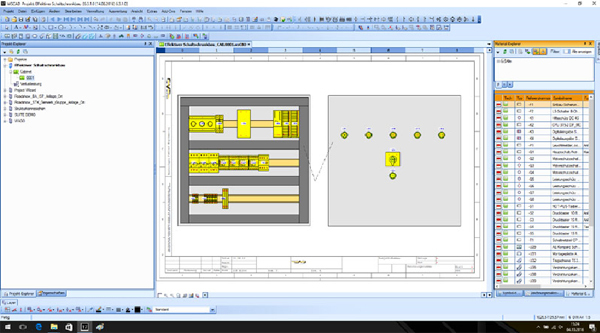 However, cabinet layouts without schematics and with data from other electrical CAD systems are also possible. 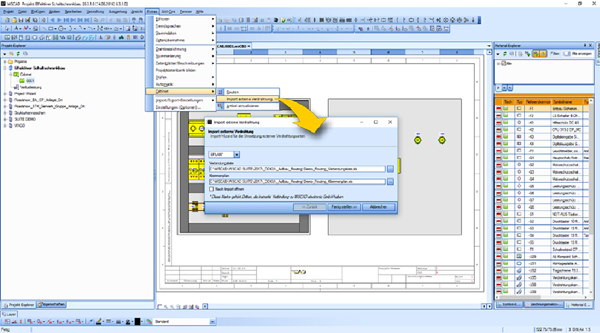 Using the function “Import external material data”, existing material lists, terminal charts and connection lists that were previously created or exported from other electrical CAD systems can be imported into WSCAD with a wizard. Matching with the part database during the import avoids redundancies, and all existing data is immediately available. Imported data after data synchronization. If the cabinet to be used is not specified, the next step is to estimate its size. 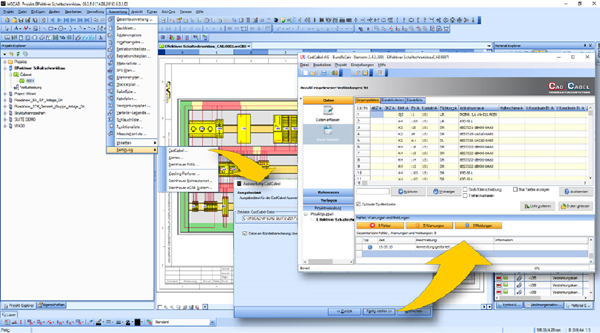 Select the cabinet and drag it into the drawing – this process can be accelerated by using macros. 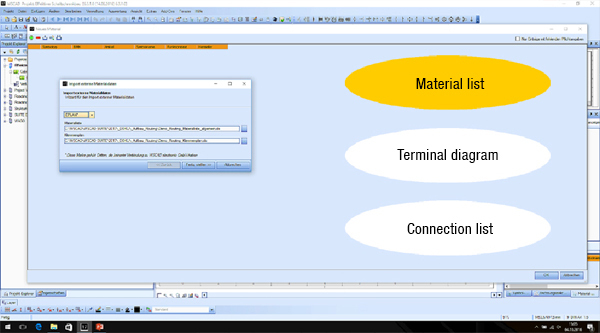 Working with the Material Explorer – All imported data and components appear in the Material Explorer. They are dragged and dropped into the cabinet. The software supports this with different mounting aids such as automatic alignments, with right or left-aligned placement and snapping of components on the rail accurate to one tenth of a millimeter. When all components are in the cabinet, they are marked in green in the Material Explorer. When everything is green, everything is in – which means nothing has been forgotten! Two particularly useful functions: automatic wire routing and the filling degree display of cable channels. 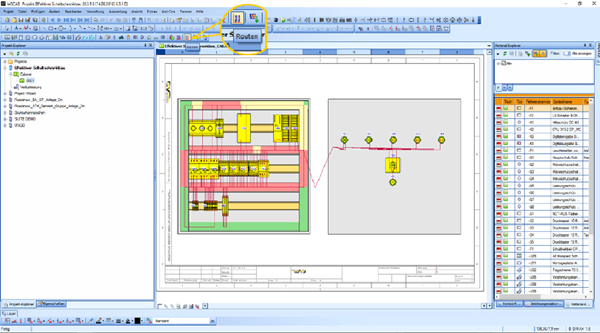 Connection information is obtained either directly from the previously created schematics or via existing terminal charts and connection lists that were manually created or imported from third-party electrical CAD systems. Complete or selective routing? Just click on “Routing”, and all the connections will be made with the wire lengths already calculated. Including the display of the current filling degree of the channels! If they are red (= too full), other paths and re-routing can be enforced through settings or larger cable channels can be used. The generated data can now optionally also be used for manufacturing. 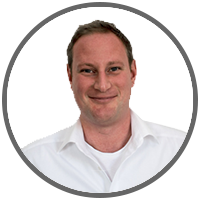 The interfaces required for this are part of the WSCAD solution – and at no extra charge! Cable and wire sets. The production of wires may occur via in-house machines such as those from Komax or Steinhauer PWA. 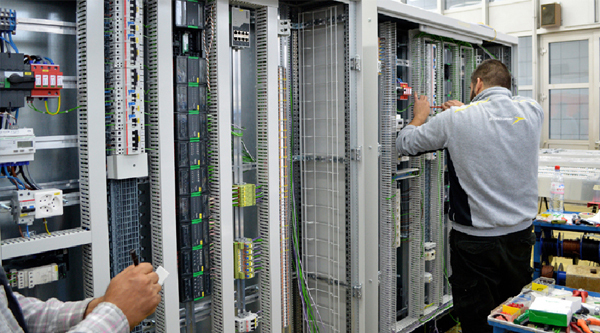 Those who do not have such systems can start the CadCabel application via a menu item and transfer all the data required for the production of wires and wire bundles to the service provider of the same name. Mounting plates and cabinet doors. 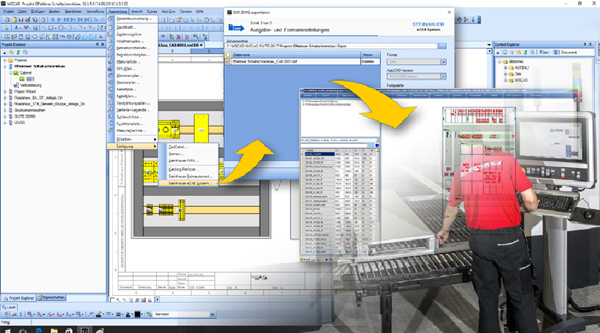 From the data generated, the production data to manufacture mounting plates and cabinet doors can be created and transferred to NC machines by Kiesling and Steinhauer via a selection menu. The selectable settings correspond to the capabilities of the selected machine. Mount the cap rails and cable channels and then snap on and install the components. The finished wire sets facilitate the assembly. Set the controls and frequency converters and test the individual modules. For the acceptance test, you can create your own checklists using the WSCAD software. The entire documentation is typically in the form of intelligent PDF files. 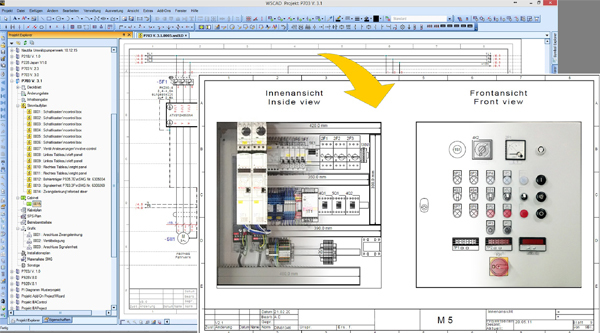 In other words, installers and service technicians on site do not need any special viewers and can instantly switch by clicking on a cross-reference from the cabinet layout to other plans in the associated disciplines of the WSCAD SUITE.